Looking for a simple 4th of July or summer dessert? 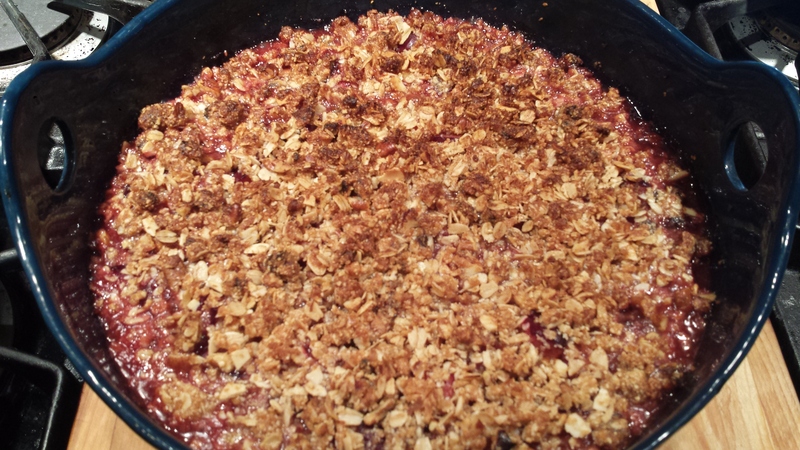 How about an easy Stone Fruit Crisp? Plums are in season right now as are other stone fruits like peaches, cherries and nectarines. Crisps are very forgiving to make as there is little that can go wrong, no crust to make or fruit to arrange. 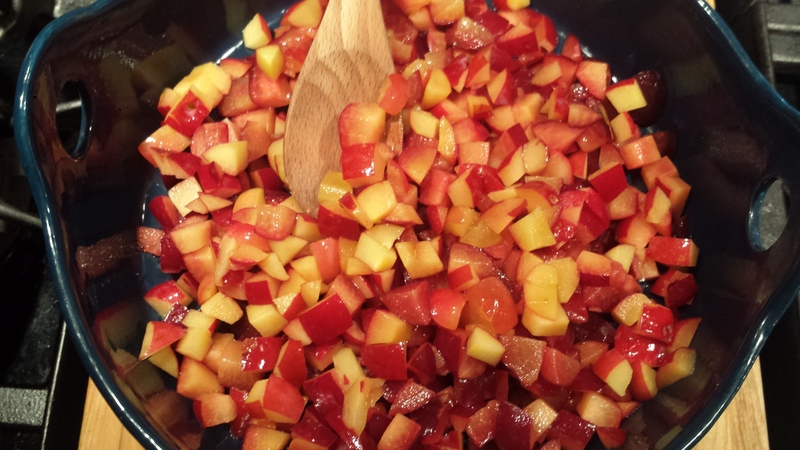 Just cut up your favorite fruit, sprinkle it with a yummy topping and bake. The beauty of this dessert is it’s simplicity. This recipe is easily made vegan and gluten free and for a dessert, it’s pretty nutritious. The oats and almond flour combined with the fruit and dates are loaded with vitamins and minerals ( and fiber, of course). As an added bonus, your kitchen will smell divine! I have a wonderfully prolific Santa Rosa plum tree in my garden in California. 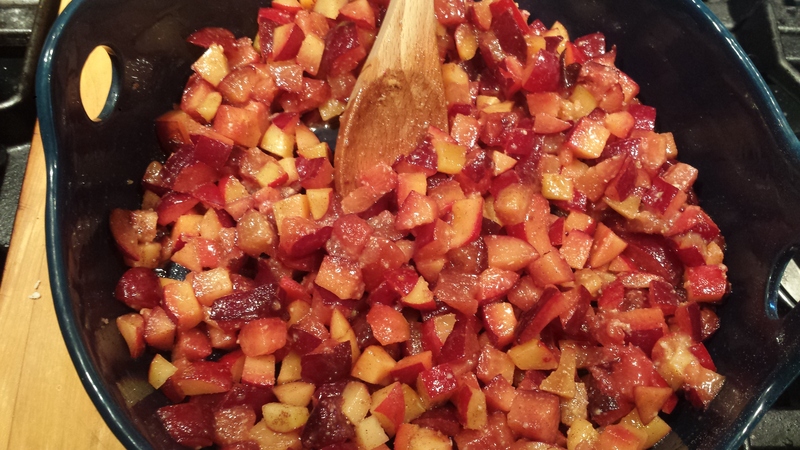 Usually I make plum jam which I put on toast or in my yogurt for the rest of the year. This spring in California has been so dry and warm that my plums were ripe and falling off my tree almost before I realized I was losing my crop. So right before my summer move to Maine, I gathered everything I could reach and decided to take them with me since I didn’t have time to do anything with them in California. 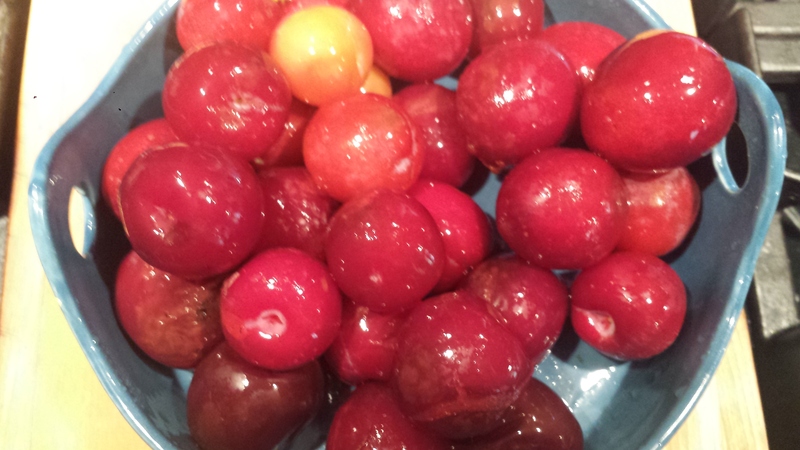 I ‘smuggled’ the plums and some Meyer lemons, also from my garden, to Maine in my suitcase which I checked. I didn’t dare carry it on, since one of my friends once took home some of my lemons in her carry-on and security thought they were hand grenades. 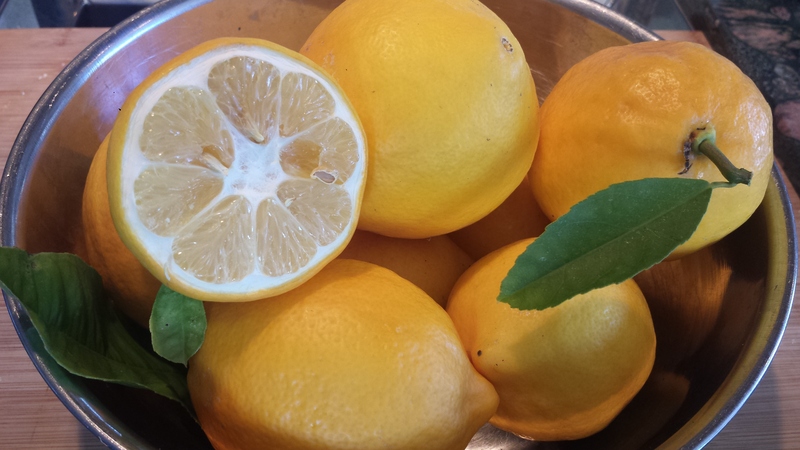 (Well they are rather large lemons!) I decided it was not worth the risk of possibly having to dump them so packed them in with my shoes and extra clothes and hoped for the best. 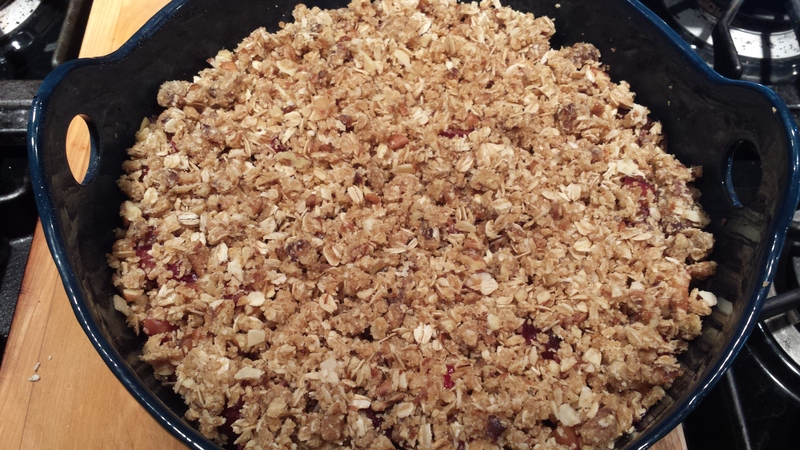 TIPS: Most fruit crisp recipes call for wheat flour but I opted to go grain free and use almond flour, although almost any flour would work as a thickening agent and in the topping as well. I added pecans and almonds to the topping for added crunch as well as dates for extra chewy sweetness but both are optional. If you don’t use nuts, just add a bit more flour and oats so there is enough topping to cover the fruit. I usually prefer desserts that are one dedicated fruit but crisps are also good with a mixture of cut up fruits if that is what you have on hand. This is great way to make an amazing dessert out of leftover or less than perfect pieces of fruit. Instead of throwing them out, just cut out the bad spots. They will still taste delicious! 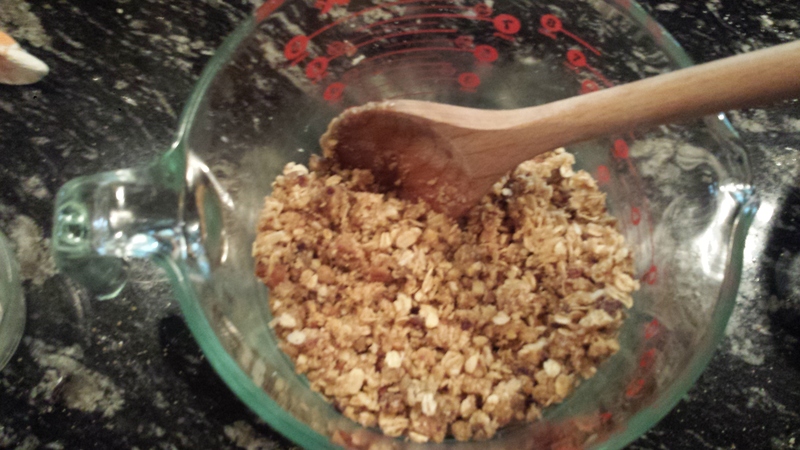 Mix together all topping ingredients with a fork until crumbly. Bake for 40 to 45 minutes in a 350 degree oven. Plums should be bubbling and the topping a golden brown. 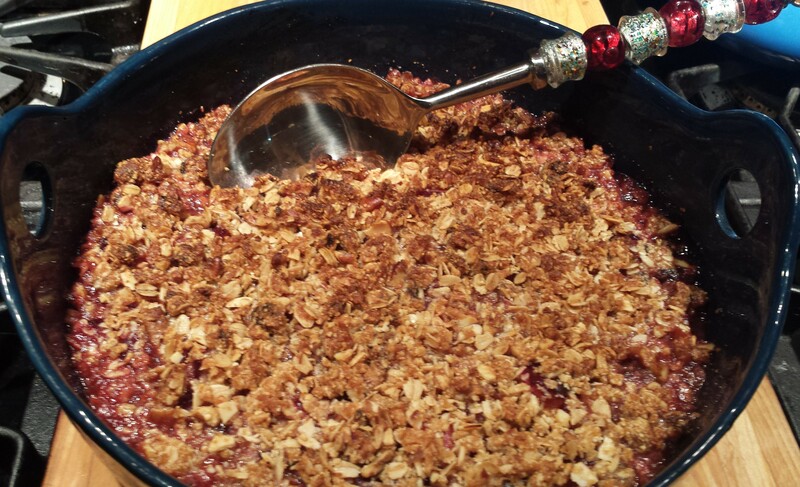 This entry was posted in All Recipes, Desserts, Vegan, vegetarian, Wheatless Wednesday and tagged Almond flour, dessert, fruit crisp, gluten free, plum crisp, plums, Santa Rosa Plum Crisp, stone fruit, summer dessert, Vegan, vegetarian, Wheat Free. Bookmark the permalink. Manny, I just checked out your blog. What an interesting site! Followiing!